With an impressive nominal heat output of 8 kW, the Jøtul F400 combines Jøtul style with technology to give an outstanding stove at home in any surroundings. A single air-washed decorative glass door provides a clear view of the flames through 'gothic' arches. 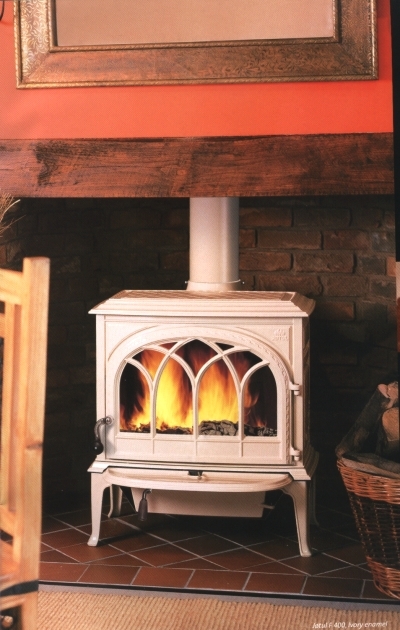 Performance has not been overlooked, the very latest in cleanburn technology is standard, giving you a highly efficient stove to create our 'cast iron promise of warmth'. The Jøtul F400 has decorative interior burn plates, an integral ash solution for added convenience and a reversible 6" flue collar. There is also an external air connection kit available. This removes the need for built in air vents in the room. 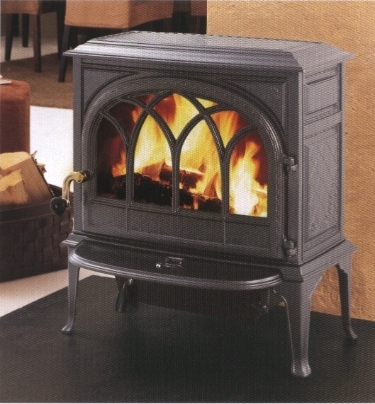 The Jøtul F400 is also capable of burning a mixture of wood and selected smokeless fuels.